The issue of minority ethnic groups' experiences of the criminal justice process, and in particular whether they are subject to disadvantageous treatment, has received much attention in recent years following high-profile events such as the publication of the Macpherson report in 1999 and the riots involving British-born Asian youths in northern towns in 2001. At the same time there has been a burgeoning body of research evidence about the needs and experiences of minority ethnic offenders, the behaviour of racially motivated offenders, and concern with 'What Works' to reduce recidivism by members of both groups. 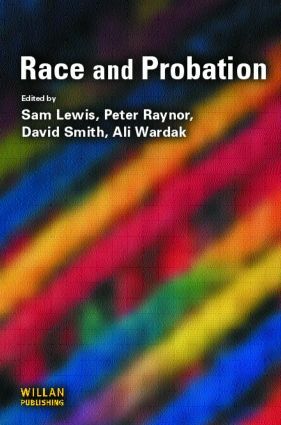 This book reviews this field, drawing upon the largest study of minority ethnic probationers ever conducted in Europe, and seeks to understand the 'stark contrast between the experience of white and black minority ethnicpeople in some areas of the criminal justice system'. Part 1 of the book sets out the context of recent policy, research and practice initiatives; Part 2 focuses on the needs and experiences of minority ethnic offenders; Part 3 discusses aspects of recent practice and policy; Part 4 reviews conclusions and the way forward. Race and Probation also contributes to the wider debate about race and crime. The lessons learned will be of key importance as new arrangements linked to NOMS (National Offender Management Service) come in to place. It will be essential reading forprobation trainees and students of criminal justice, for probation practitioners and managers, and for academics and researchers in the field. Black and Asian men on probation: who are they, and what are their criminogenic needs? What Works with Black and minority ethnic offenders: solutions in search of a problem? What might work with racially motivated offenders?